As you may already know, for every purchase above $30 you earn reward points! First step to redeeming reward points is getting to your cart 🛒. Notice: If you do not see a tab it simply means you have 1 or 0 points. Feature will become available once 2 points have been accumulated. Once you hit the "REDEEM REWARD" tab you will be directed to this screen. Here you will find rewards for the points you have accumulated. The more points you have the more options will become available ✅. Notice: Only one reward per order is allowed. 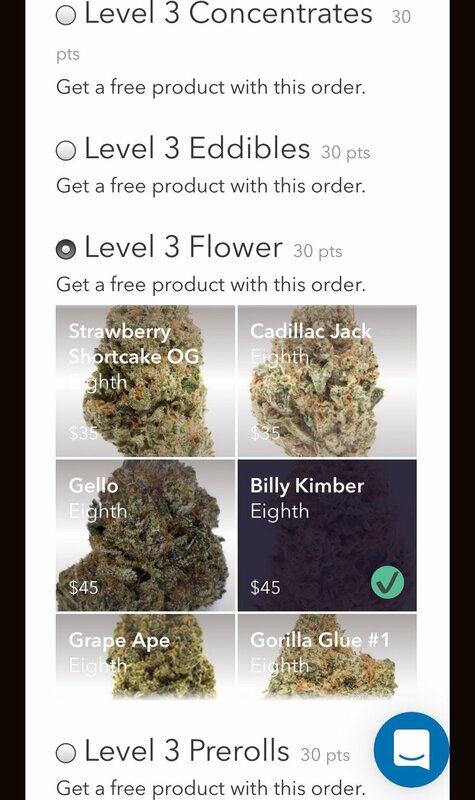 Once you have selected the item you would like to redeem, select "redeem reward" at the bottom of the screen or simply go back once you are done ✅. To finish reward redemption simply select place order and your free item (or discount) will be added to your order :D! You have now successfully redeemed your reward points! If you have any questions or need more help with redeeming points, please feel free to reach out to our staff and we will gladly assist!